First, I bequeath and give to my well beloved wife, Ann Miller, the one-third of my estate both real and personal during her natural life. Second, I give and bequeath to my son Robert Miller, one-dollar of my state real and personal as I have given him his share before. Third, I give and bequeath to my daughter, Elizabeth Baker, wife of James Baker one-dollar it being her proportion of my estate real and personal as have given her a share before. Fourth, I give and bequeath to my son, Joseph Miller, one-dollar being his proportion of my estate, real and personal as I have given him a share before. Fifth, I give and bequeath to my Daughter, Jean West widow of Alvin West eighty acres of land where she now lives on the North Corner of my settlement, survey being her proportion of my estate real and personal. Sixth, I give and bequeath to my Daughter Ann Talbot. wife of Will Talbot eighty acres of land where she now lives being of the west corner of my settlement survey being her proportion of my estate real an personal. Seventh, I give and bequeath to my son John Miller, the one-fourth of my landed property that remains where he now lives. Also two lots in the town number forty and forty-five, being his portion of my estate real personal. Eight, I give and bequeath to my son William Miller, the one-fourth of my landed property that now remains not divided. Also one-third of the unsold lots in the town being his portion of my estate, real and personal. Ninth, I give and bequeath to my son James Miller, the one-fourth of my land that is not devised where he now lives in the town being his portion of my estate, real and personal. Tenth. I give and bequeath to my son Alexander S. Miller, the residue of my land which is one-fourth likewise four lots in the town of Millersburg, lying above the Meeting house also one-third of the unsold lots in said town, likewise the two-thirds of my slaves and at the death of his mother, Ann Miller her third of my slaves that she will posses. They are to return to him together with their offspring, the names of the slaves that is in my possession are as follows, viz. James, Hannah. Darkey, Jacob, Matilda. Sary, Teressa, Ester, the land that my widow, Ann Miller, is enjoy during her life if she claims only the third of Alexander's fourth is to return to him, but if she should take the third of all this land I have devised in that case each of my four sons to have their fourth at her death of her two-thirds. I likewise give to Alexander S. Miller, two-thirds of all my estate, personal, whatever. It is my will and desire and order to be so that there is to be no sale of my personal estate, that an inventory is to be made and a valuation so that my widow can get her right. All my just debts to be paid and my funeral expenses to come out of my estate. I constitute, make and order William Miller and John Gregory Executors to this last will and testament and I hereby revoke and disannul all former made by me, but publish and declare this to be my last will and testament. In testimony I sign with my hand and seal this eleventh day of July, one thousand eight hundred and fifteen. This last will and testament of John Miller. deceased. was produced into Court and approved according to law by oathe of Martin Baker, James, Pllock, and Allen Trigg to be act and hand, seal and deed of the said testor and sworn by William Miller and John Gregory, the Executors there in named and ordered to be recorded. Attest; Thos. P. Smith C. B. C.
appoint, my Brother William Nesbit and John Morrow Executors of this my last will. In Testimony whereof, I hereto affix my hand and seal the date first above Written. This will was proved by the oath of William McClintock and Robert Morrow witnesses thereto and ordered to be recorded and on the motion of William Nesbit and John Morrow the Executors therein named, who made, oath thereto and together with Wm. McClintock and William Miller their securities entered into and acknowledged their bond in the penalty of three hundred pounds conditioned agreeably to law, certificate is granted them for obtaining a probate thereof in due form. He and his brothers Samuel and William were with the first two groups who came into the Licking are in 1875. Five of the brothers settled in early Bourbon, and their land was laying in the three counties of Nicholas, Bourbon and Harrison Counties. 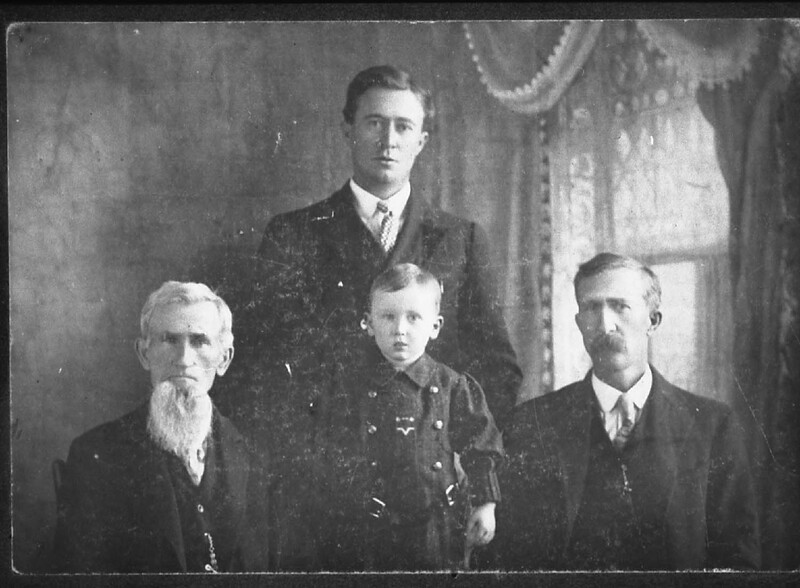 This is my gggggrandfather, who lived in the Indian Creek area of what was then Bourbon Co., but ... is now Harrison County.